How to create a beautiful 3D page flip catalog with PDF? You would be interested in building unique style of flipping book. If the book can be rolled and flipped freely like holding in hands, it sounds better. We call this kind of book that both roll and flip 3D page flip book. Different from the routine digital flipping book, it can be flipped from any angle of vertical or horizontal. Beside, you will enjoy the graceful actions of the book when your mouse hit the book pages. There is a tool PDF to Flipping Book 3D is user-friendly software for its real-time effect preview design. That is to say, the changes you setup can be present on the preview window timely. You can fix the style according to the preview pattern. 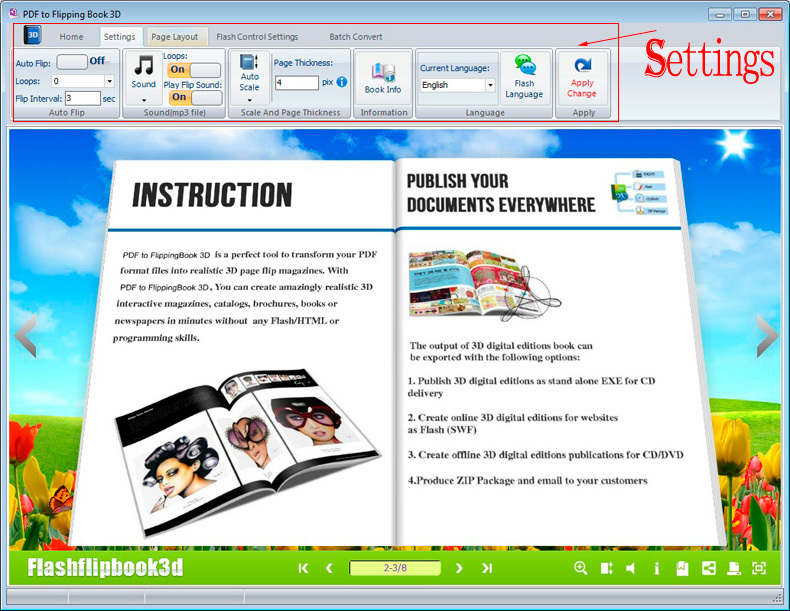 The steps creating 3D flipbook with PDF to Flipping Book 3D. 1 Launch PDF to Flipping Book 3D. 3 Setup the related options to add some attractive features for the output 3D book by setting on top tabs includes basic settings, page layout style, etc. 4 Go back to the tab Home – Publish. 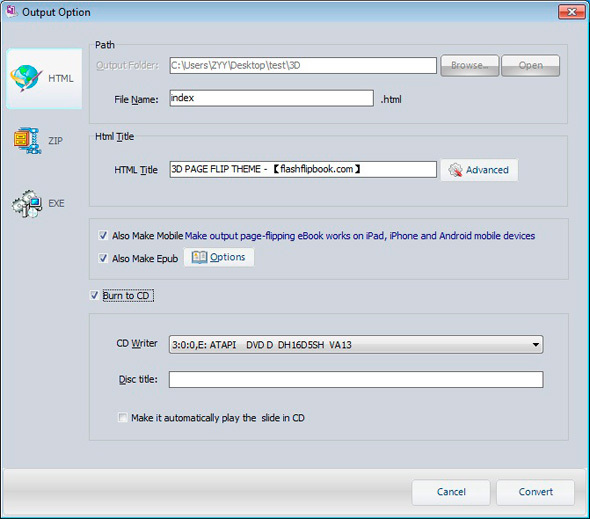 Besides, you can create mobile or EPUB version when click on the above output types. Even burning to CD can complete offline distributing.